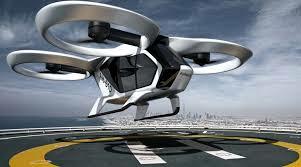 The British firm said it had drawn up plans for an "electric vertical take-off and landing" (EVTOL) vehicle, which could carry four to five people. Speaking ahead of this week's Farnborough Airshow, Rob Watson, head of the company's electrical team, said: "We are well placed to play a leading role in the emerging world of personal air mobility and will also look to work in collaboration with a range of partners." "We believe that given the work we are doing today to develop hybrid electric propulsion capabilities, this model could be available by the early to mid 2020s, provided that a viable commercial model for its introduction can be created," the firm said.